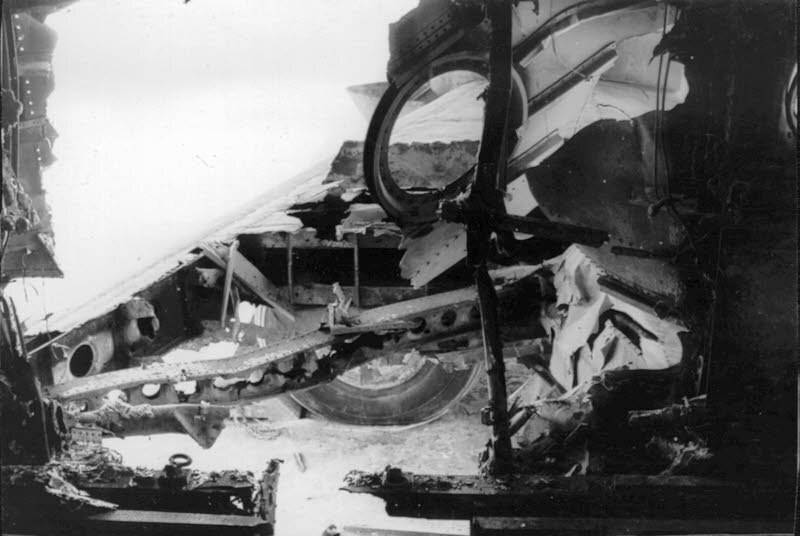 LEFT: Damage inside the Freight Bay. 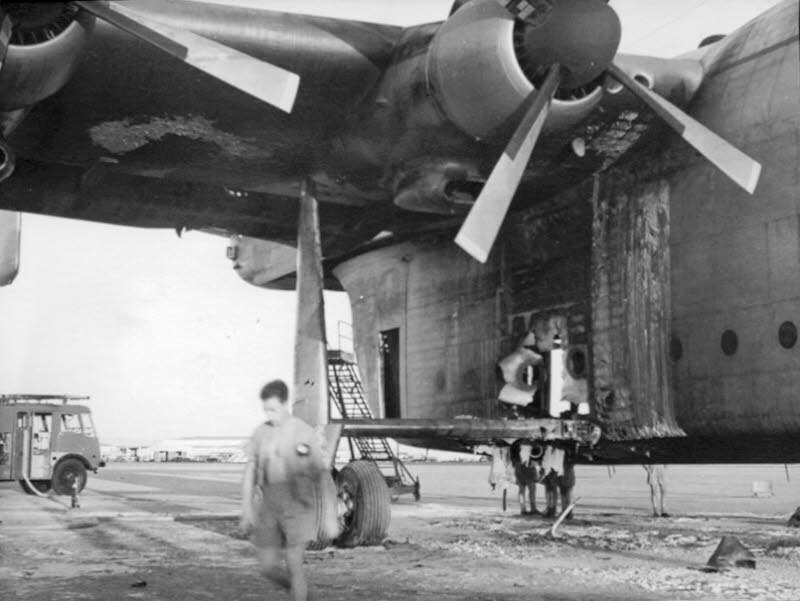 ABOVE: Damage to the starboard fuselage. 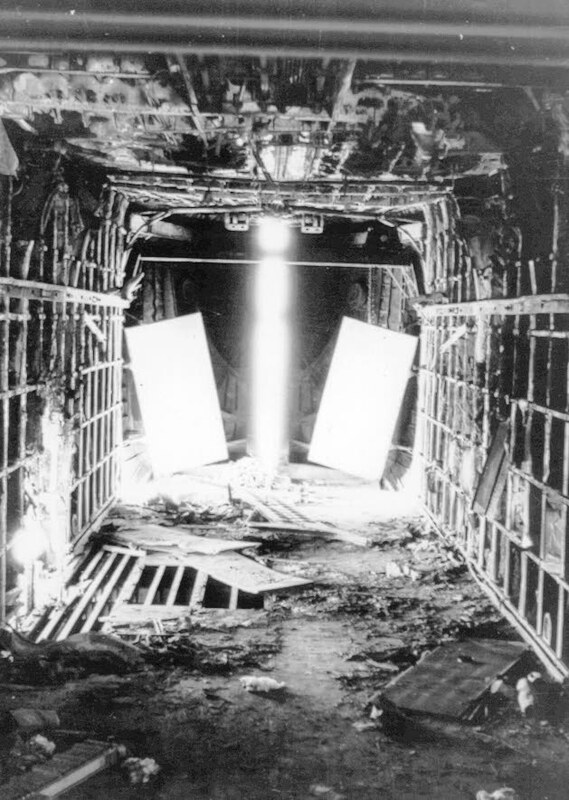 ABOVE: Damage to the fuselage from the inside.